In a city where any casual conversation about food can turn into a heated argument before you can say “brisket,” determining and collecting its essential recipes is a daunting task. "The Austin Cookbook" by Paula Forbes, published by Abrams c 2018. But writer Paula Forbes, author of The Austin Cookbook, signed herself up for the challenging endeavor—and longtime Austinites, new residents, and Texpats will be able recognize and recreate their favorite dishes from new-school and old-school joints that make the capital city a food lover’s paradise. Forbes, a cookbook reviewer herself, was the founding editor of Eater Austin and has had bylines in GQ, Lucky Peach, and Saveur. In the book, she includes “particularly Texan” recipes for beloved local joints, including Jeffrey’s, Mi Madre’s, and Juiceland, mixed with as-told-to stories from restaurant owners and chefs, technique tips, and background on Central Texas ingredients like wild boar. 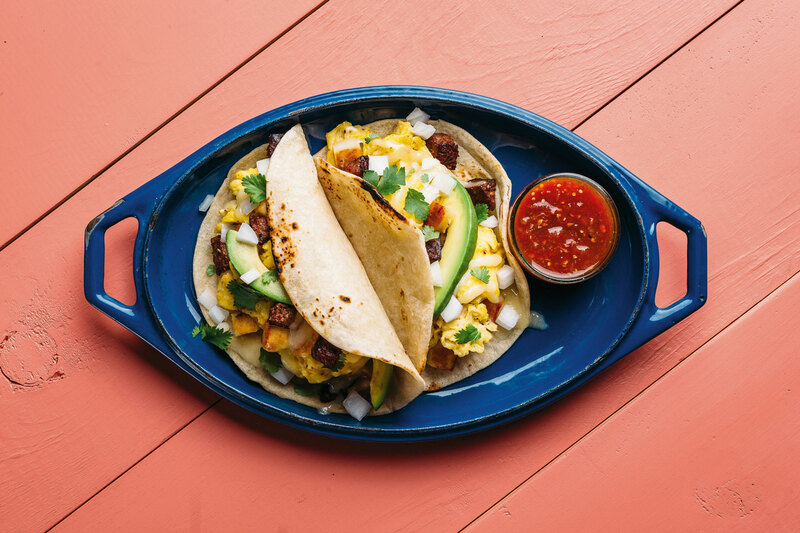 She sat down to chat with us about The Austin Cookbook and was kind enough to share a recipe from it: the delectable potato-and-sausage breakfast tacos from Veracruz All-Natural. Was it daunting trying to define a city’s food identity in one book? It was super easy! (Laughs.) That was absolutely the hardest thing about writing this book. Austin’s a city that people are so deeply in love with and feel very protective of, especially the longer you’ve lived here, that it was a major concern for me. I really, really, tried to have new stuff, old stuff, stuff from every part of town, things that would appeal to people who eat on a budget and to people who are into high-end fine dining, so I really hope that it comes across in the book. Do you touch on any controversial Austin food topics in the book? A little bit. I talk about how Austin has changed and how there was a little bit of reticence to change, but ultimately I think it’s been good for food here. There’s an as-told-to essay from Regina Estrada at Joe’s Bakery where she talks about watching the neighborhood change around them, so I try to address it in that sense. Did you approach restaurants knowing which recipe you wanted to include? Some yes, some no. I tried as much as I could to let them suggest. My ultimate goal is to make sure everyone in the book is proud of it and happy so I really tried to have everyone include the recipe they feel like showcased their restaurant. 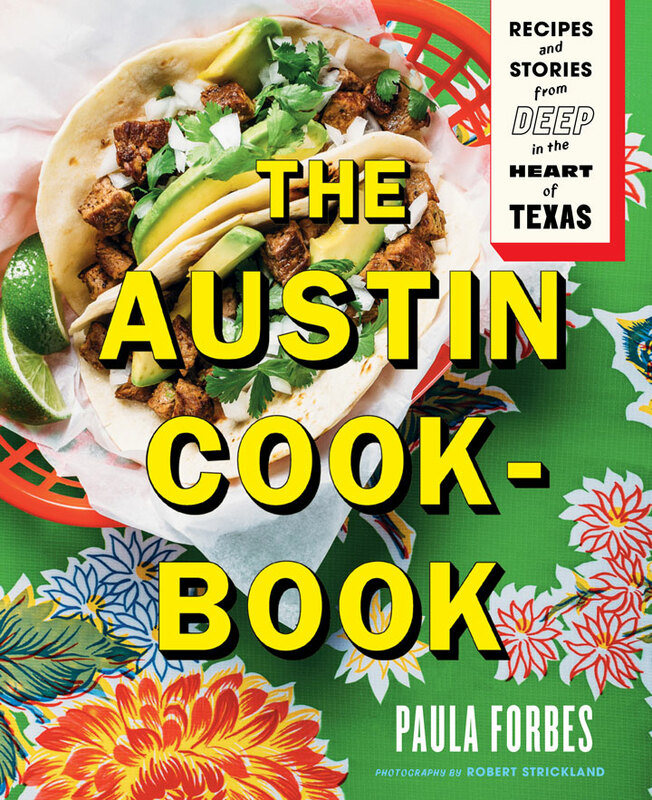 At a certain point, I needed to make sure I had certain recipes covered because this book is not just a showcase of Austin restaurants, but a showcase of Austin, so you need to have a certain swath of enchilada sauces, you need to have a basic guacamole recipe. Certain things I didn’t end up getting recipes for, I just wrote the recipes myself. How did you come up with the recipes that you wrote yourself? All of the recipes in the book are in the vein of things I make—Tex-Mex style refried beans and rice are something I make; the queso is a recipe I’ve made forever, green chile queso. I wrote the verde enchilada sauce recipe—that’s kind of a recipe where I make it differently every time. This is how I cook. This is how people in Austin cook, I think. Just throw something in a tortilla, reuse barbecue in every imaginable way, pecans in everything, and margaritas. That’s what we eat. Did you learn anything new about Austin food culture while writing this book? I think that Austin—nationally—has a reputation for being a fairly recent ‘cool food city,’ but while writing this book I went to a lot of classic Austin restaurants that I hadn’t been to in a long time and interviewed chefs and owners at those restaurants, and it’s not true. Austin has been a food city forever. Just realizing how deep that goes, the pride that people have and have always had about food. I wrote this book after I moved back to Austin after some time in New York, and it was just so lovely and comforting and nice to be welcomed back into this bosom of Austin food. Bring a medium pot of salted water to a boil, add the potato, and cook until soft. Drain and let the potato cool. Whisk the eggs thoroughly in a mixing bowl and season with a big pinch of salt and pepper. Heat the oil in a pan over medium heat. Add the potato and cook until golden brown, about 3 minutes. Add the sausage and cook for another 2 minutes, until the sausage is browned. Add the eggs and scramble until cooked through but still slightly wet, then remove from the heat. Heat the tortillas, then add the egg mixture. Top the eggs with the cheese, onion, cilantro, and a slice of avocado each. Apply salsa or hot sauce to taste.